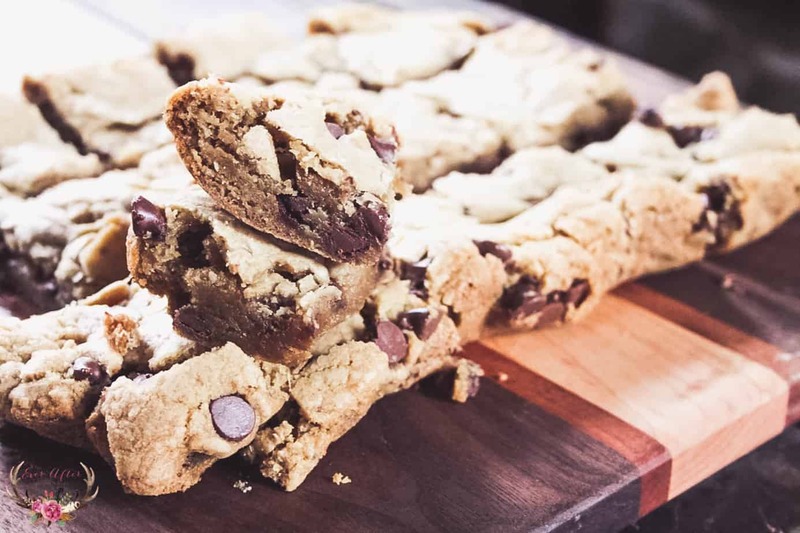 There is really nothing better than a chewy chocolate chip cookie. 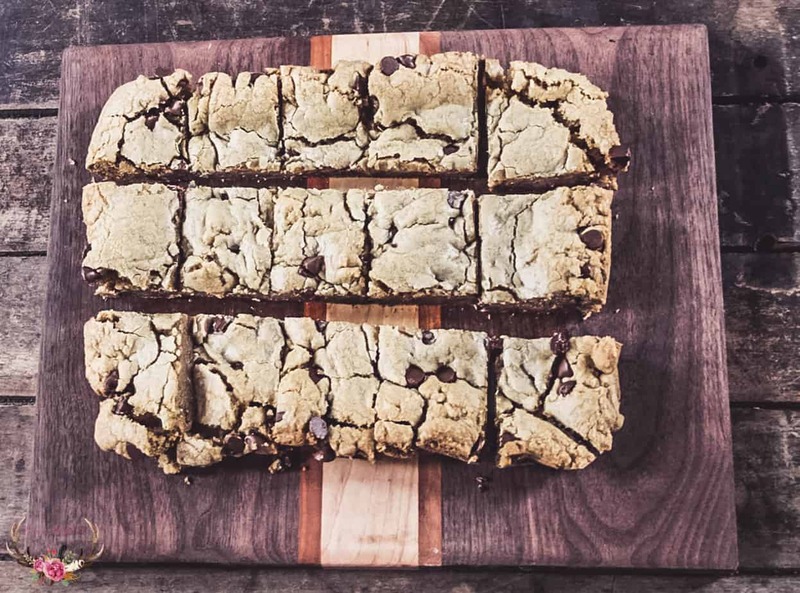 Well, maybe these chewy chocolate chip cookie bars! 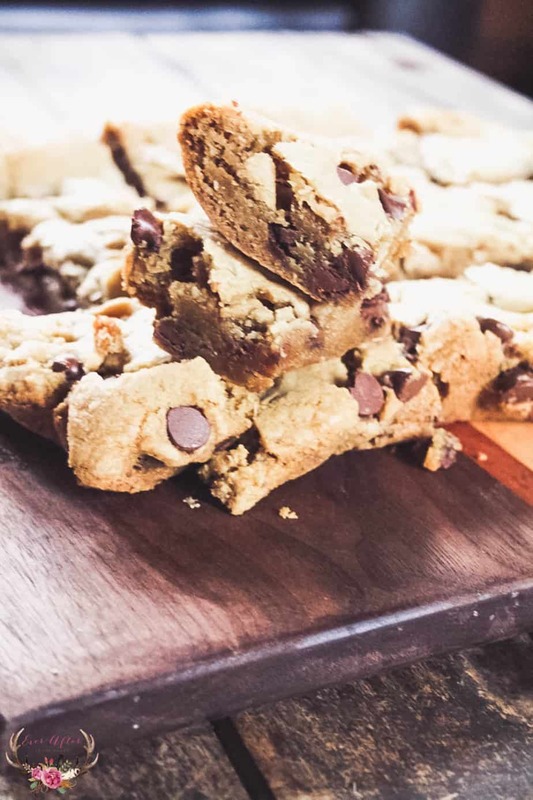 These chewy and delicious cookie bars are delicious and soft and with the help of lining your baking pan with aluminum foil, they come out of the pan easily. 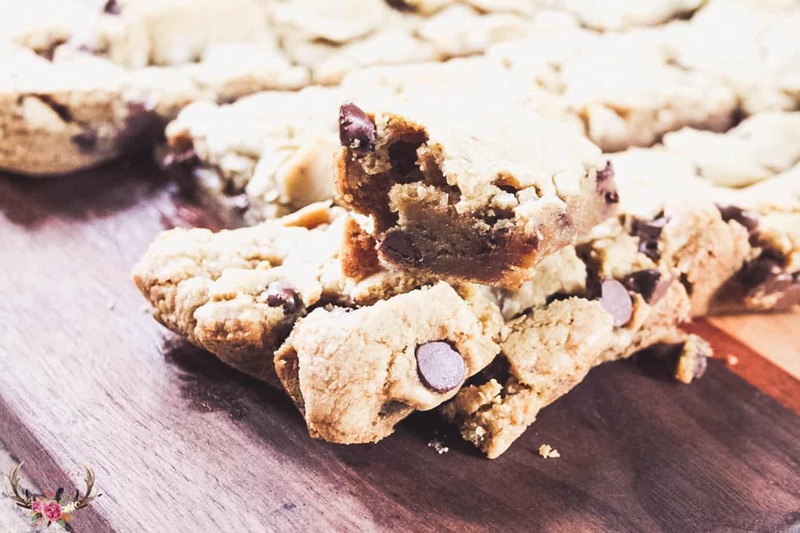 I used milk chocolate chips inn this recipe but you can easily substitute any variety of chocolate chips or nuts you would like. 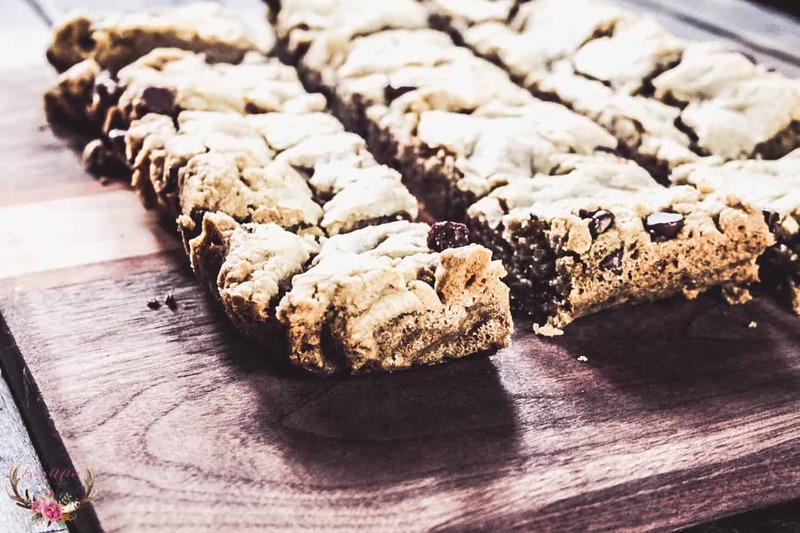 My husband does not like nuts in his cookies so that is why many of my recipes do not call for them but that does not mean that you can’t add a handful of chopped walnuts or almond if you like. Line a 9×13 baking dish with aluminum foil and spray with non stick spray. In the bowl of an electric mixer fitted with the paddle attachment combine the butter and sugars until smooth. Add the eg, vanilla and almond. Scrape down the sides. Add the dry ingredients and combine. Fold in the chocolate chips and pour into the prepared pan. Bake until the tops of the bars until the bars are a light golden brown, about 24-28 minutes. Cool completely before cutting into squares. An easy recipe that has a delicious result. 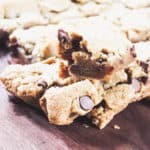 These cookie bars can be frozen after they have been cut and completely cooled. We like to keep a batch in the freezer for unexpected guests or play dates. Simply thaw at room temperature and you are good to go! Only 1 cup of flour? Yikes Shari- 2 cups of flour!